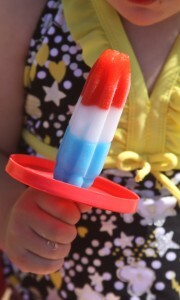 A simple patriotic Popsicle treat is all my kids need to enjoy a beautiful 4th of July picnic with family and friends. A sunny day filled with fun activities, good company, good food, and the smell of sunscreen just isn’t complete without Popsicles. 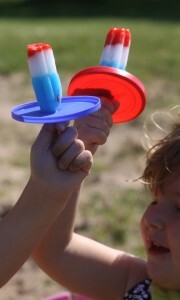 Add a simple red or blue holder and your kids are sure to love them. I hope that everyone has a fabulous 4th of July holiday filled with all things American. Good beer, grilled food, and time spent with family and friends. We will be celebrating the simple pleasures in life together as a family and taking full advantage of a beautiful day to celebrate our country. Swimming, cookouts, and fireworks shows are on our list of things to do this week, and I can’t wait. No fancy desserts to cook up or bake for me this year, just some simple store bought Popsicle in patriotic colored holders. 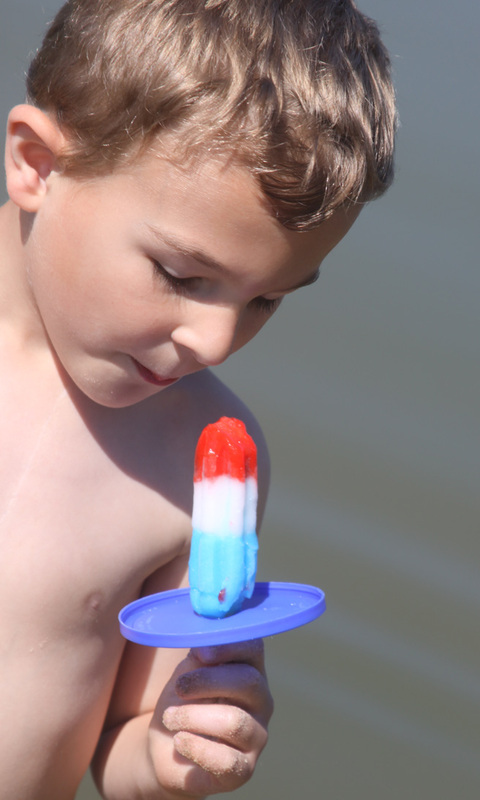 Since Popsicle are the simplest form of childhood joy from the freezer, they are the perfect treat on a hot day! In seconds my treat to pass is complete and everyone is happy, especially me! 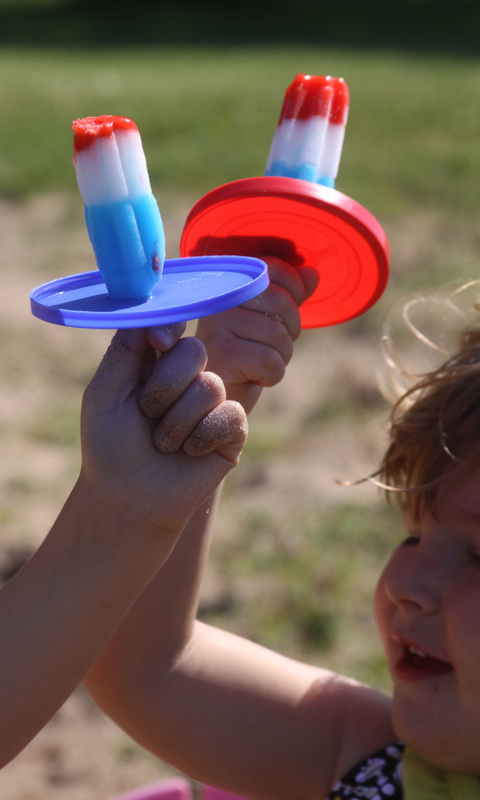 A couple of weeks ago I shared with you how I serve Popsicle to my kids in a mess free manner using lids from plastic containers. Well I have saved up some red, white, and blue lids and am taking the easy way out on serving dessert this 4th of July! Buy a box or two of fun patriotic colored Popsicle! 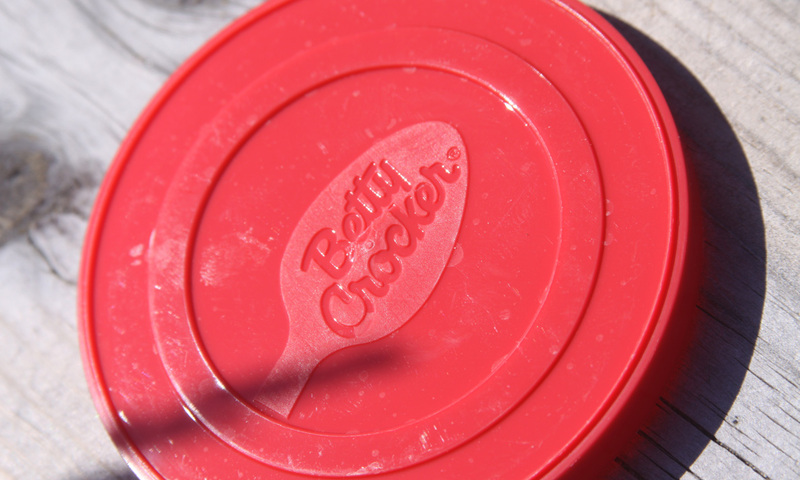 Wash and dry some lids from containers in red and blue (this one is from pre-made Betty Crocker frosting, and the blue one is from a marshmallow fluff container). Add a small slit to the lid. 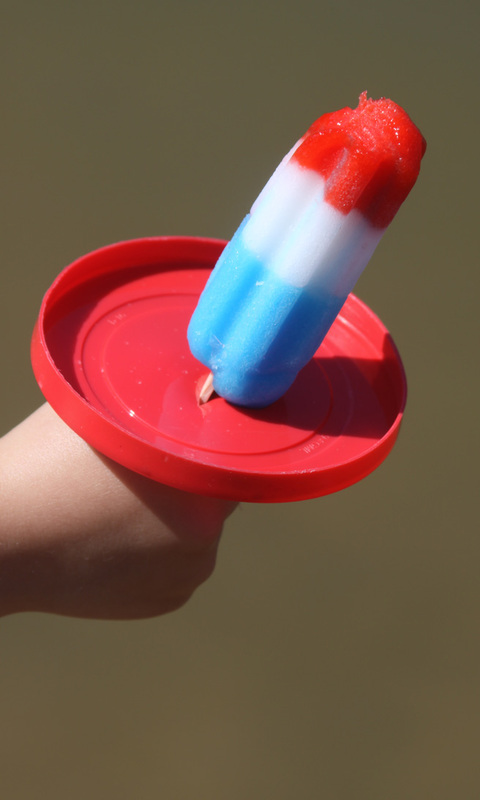 Insert a Popsicle into the lid’s slit. And share with the kiddos and adults at your family 4th of July get together! It couldn’t be simpler! Skip the time in the kitchen and enjoy your time with family and friends!